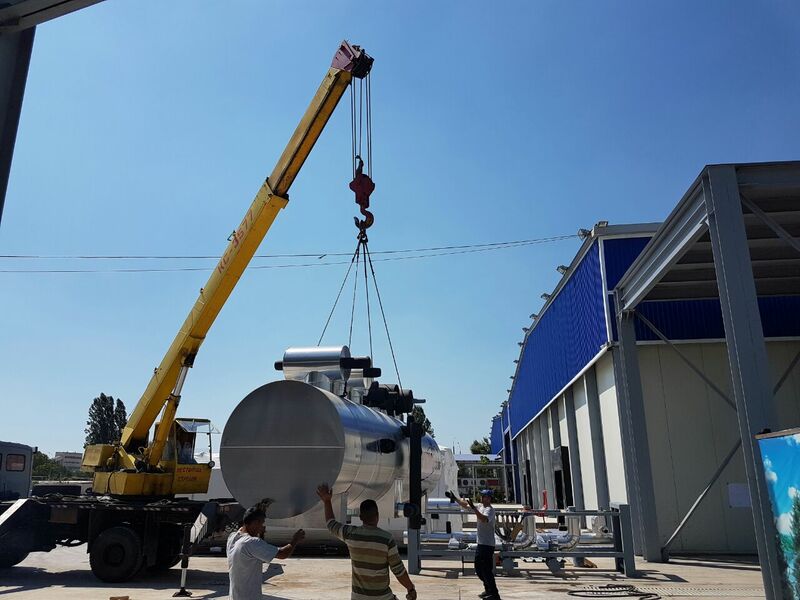 Nieuw-Vennep, 12 July 2016 – The second installation of Celtic Cooling for client Gold Dried Fruits has arrived in Tashkent. 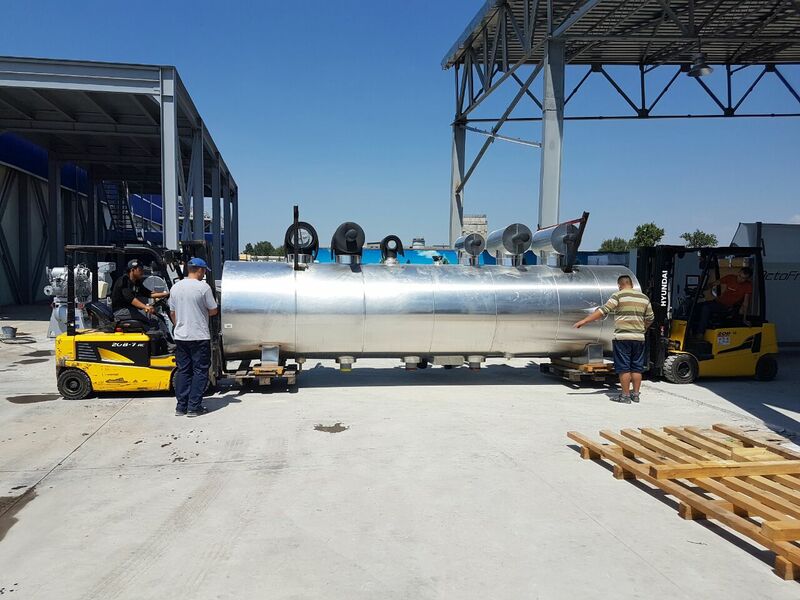 This 500 kW / -43 C°-IQF facility (Individually Quick Frozen) will be installed in their new production and storage center for fruit and vegetables, which is the largest of its kind in Central Asia. Overland transport of the installation took several weeks. Gold Dried Fruit’s new production and storage center for fruit and vegetables was officially opened on 23 May 2016. Celtic Cooling has contributed to this unique project of over 10,000 m² with all of its technical expertise and capability. The official opening was broadcast live on Uzbekistan national television. The production and storage center has a decentralized set-up, whereby redundant systems can take over in case of temporary failure as well as being able to downsize production capacity in the event of a temporarily lower demand. Celtic Cooling has now sold three IQF installations to GDF, the first of which will become operational in two weeks time, followed by a second unit after the summer. A second facility is being realized for GDF by Celtic Cooling in the southern city of Termez, where a third IQF installations will be installed. 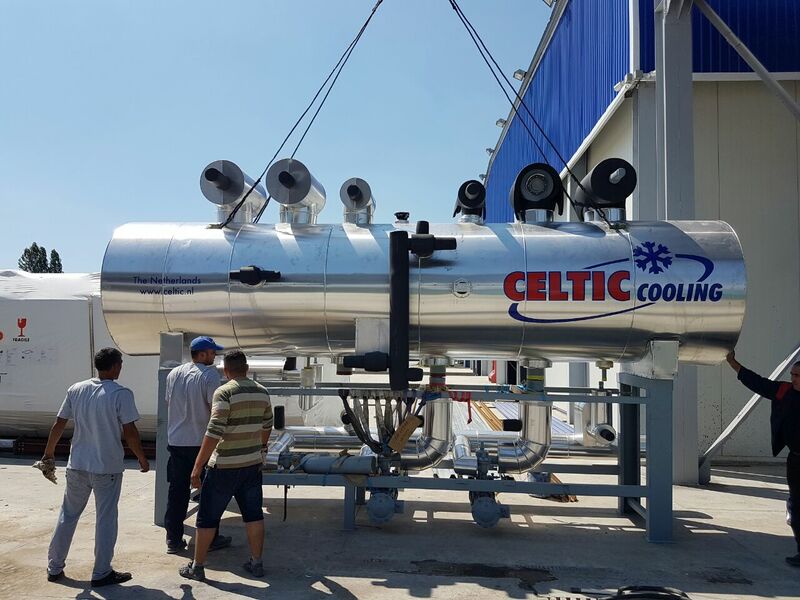 Celtic Cooling is a trend setter in cooling and freezing solutions for international clients. Headquartered in the Netherlands and with offices in Ghana, Kenya, Ethiopia, Kazakhstan, Russia and Dubai, the company has almost 20 years of experience in designing, delivering and installing tailor-made cooling and freezing installations, air conditioning systems and turn-key solutions for flowers, fruit, vegetables and other purposes. Celtic Cooling works for clients from various segments of the corporate sector, both abroad and in the Netherlands. A team of approximately 74 well-trained and enthusiastic professionals who are proud of what they do, forms the solid base of the company. In addition to our modern headquarters in Nieuw-Vennep in the Netherlands, we have four branches worldwide in Kenya, Ethiopia, Ghana and Kazakhstan. Looking for a job at Celtic Cooling? Looking for a job at a renowned international employer? Apply for a job at Celtic Cooling. We are proud of the excellent reputation of our service department and we know how important it is to our customers. Our engineers are available to help you 24 hours a day, 7 days a week. You can rely on our professional service department, whatever the problem.